Lodge style, relaxing retreat on the 5th fairway just 1 mile from the Hood Canal. 2 sided river rock fireplace-opens to living room. & family room off kitchen. Master w/oversized walk-in- river rock shower, title & granite large walk in closet, & sliders to private back deck overlooking the course. Large open kitchen w/slab granite, top of the line Jenn-aire appl. flat screen TV & breakfast area w/sliders to covered deck sep. dining room. 2 car garage & large carport. Professional landscaping. 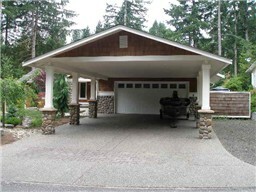 Richard Beckman SOLD this Alderbrook home for $275,000.00. I never thought I would find such an everyday topic so enllrahting!